This is an impressive bit of research on your part! Well done. I wonder what did happen to Katie’s daughter in particular if that was the one? I had really hoped to find death certificates with Katie’s name on them. I looked for Joella, but nothing. 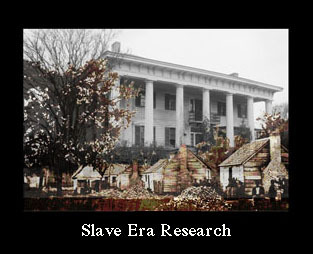 I started researching the other people who were enslaved on the same plantations with my ancestors. I started with the names I found on documents from the Cleage families – Wills, letters, bills of sale and then went to the 1870 census and from there to the pension files. I believe that getting a picture of the community my people were a part of, both before and after slavery, will help me to know them better. I posted her whole file before the A to Z because it was so intense and extensive with testimony from so many people. Her claim dragged on for 10 years. This woman gave back as good as she got! It makes me sad and also very thankful for how women’s lives have changed since then. As always your research blows me away and I hope you’ll be able to trace Joella somewhere else, some other time. Unless Joella’s descendant shows up, I doubt it and then she may belong to another Cleage family. Katie Cleage lived a very hard life. It wore her down and I’m not sure she gave as good as she got at all. some women’s lives are still pretty hard. 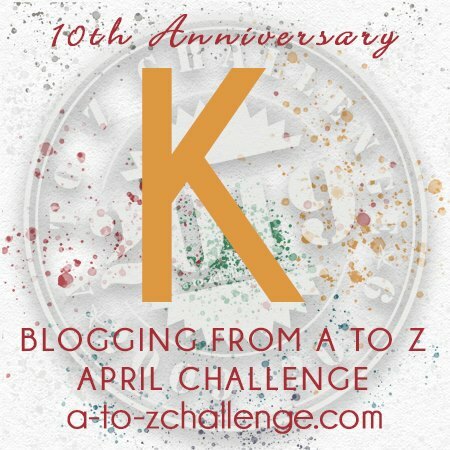 Seven years of A to Z – congratulations. Going into more depth with the pension files is a great theme. Thank you. Don’t know if I can keep this up another year though! We aren’t even half way through!! Sorry I pressed the return button before finishing. The photo is lovely, I realise it is not of these people but it is so atmospheric. 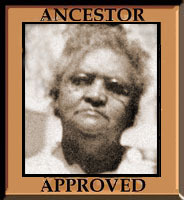 Sometimes genealogy has to work on hypotheses and you keep testing until proved wrong. If not proved wrong and in the absence of other possibilities your conclusions are likely. When I was working on Katie’s file, I found several pages with photographs that often just fit the posts, even though they weren’t of the actual people. I like to think I am right about Will and Joella. And hope proof shows up. I hope so, too. 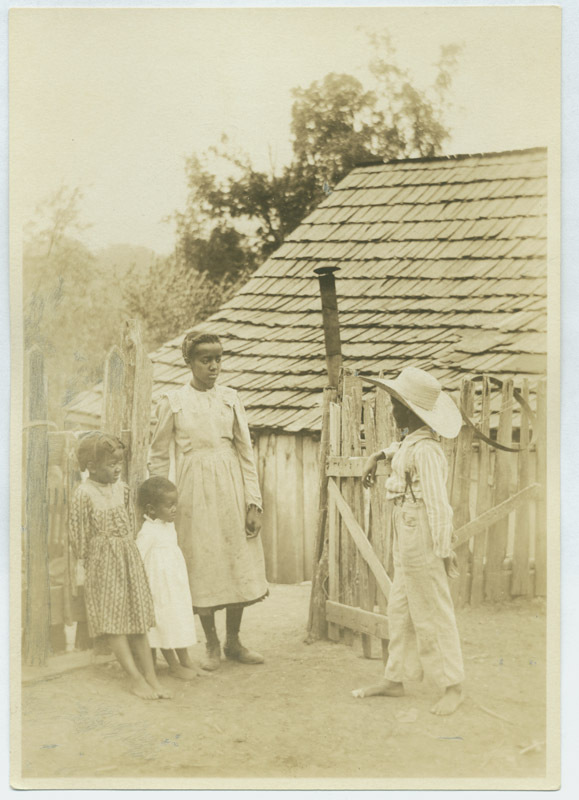 Do you find that sometimes, while concentrating hard on all the connections in your research, you happen upon something like Joella Cleage, the right age, boarding with another family (had Katie died by then?) and you make a guess, but an educated, even an inspired one? I went looking for Joella and William – that is I looked for Cleages their age living in Chattanooga, not living in a Cleage family and not step children to either parent. And Joella and William were the only ones I found. Katie died of pneumonia in 1893. Her children were 10 and 7. There was an orphanage in the neighborhood and I thought they might have been taken there, but there was no way to find out as I could find no list of names. In one of her testimonies she said that a niece lived with her, but she doesn’t name her and I don’t know if she was still around then and hadn’t married and changed her name. I also looked in Athens for children in Cleage households that could be Katie’s children to no avail. I wonder if it was difficult being that honest. It sounds like you might have found her children. Can you tell whether the people they lived with were related in any way? Were they neighbors, maybe? The boy was out on his own when I found him. And his wife and her family were nobody I had seen before and didn’t live that close to where Katie lived. I found a wonderful map of Chattanooga that has all the houses and streets and alleys. Better than Sanborn maps, so I can tell who lives where. The people Joella lived with were not neighbors. They weren’t related. I was not able to find Katie in any censuses during her lifetime. She lived in back of a grocery store, on a side alley in a small house that made it into the directories, but I guess the census taker never went down there. If they had, the children would not have appeared until 1900 anyway, because of the lose of the 1890 census.